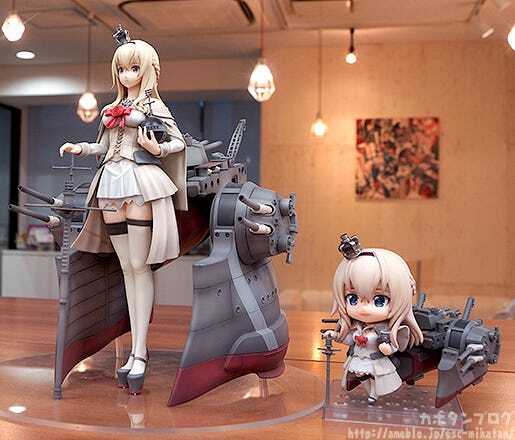 From the popular browser game “Kantai Collection -KanColle-” comes a 1/8th scale figure of the second Queen Elizabeth-class battleship, Warspite! 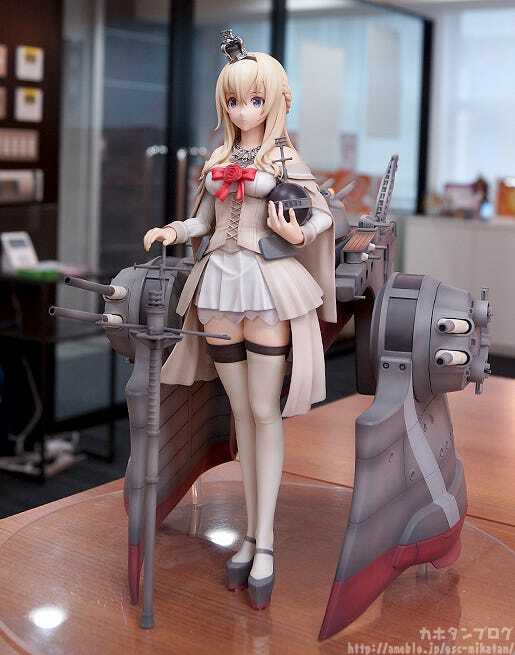 The figure is based on the illustration of her that featured in the Kanmusu Catalogue Vol.3, which captures her in a majestic standing pose complete with her impressive ship parts. 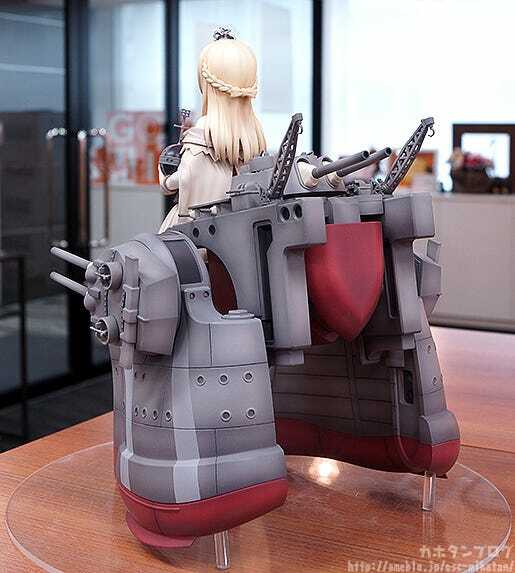 The ship parts have been sculpted in intricate detail, and can be placed closer or further apart depending on how you wish to display her. 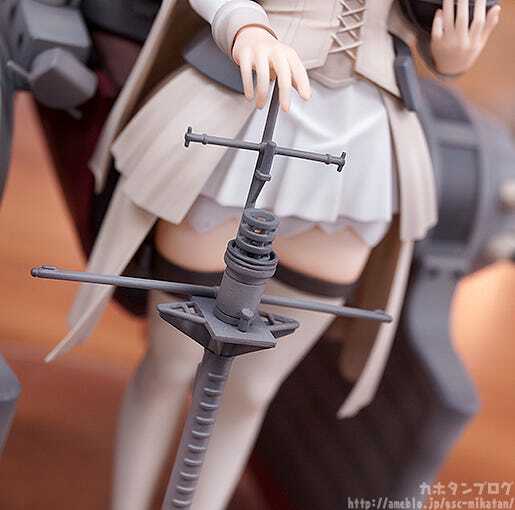 The turrets are also all articulated allowing you to place them at the angle that you think suits best. A figure worthy of the name “The Grand Old Lady” – be sure to add her to your fleet! Plus the impressive ship parts are huge!! ▲ You can also open out the sides to display them wider apart! ▲ The careful balance of her fingers is also lovely! The large turrets on the sides are also articulated allowing you to place them in any angle that suits your collection! ▲ This is the standard angle, but you can easily twist it around! 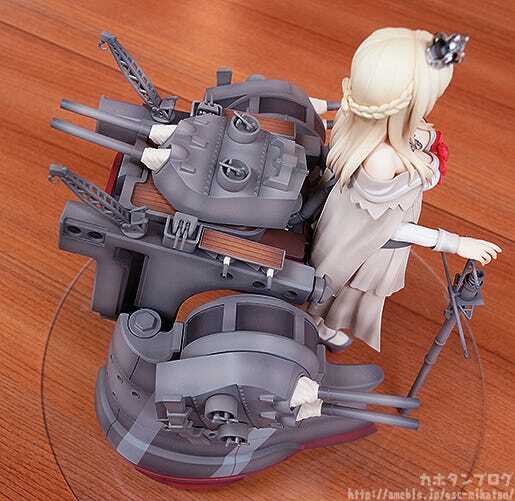 To contrast the cold metallic look of her ship parts, we can look to her lovely warm and soft looking skin!! ▲This area around her shoulders is fantastic! 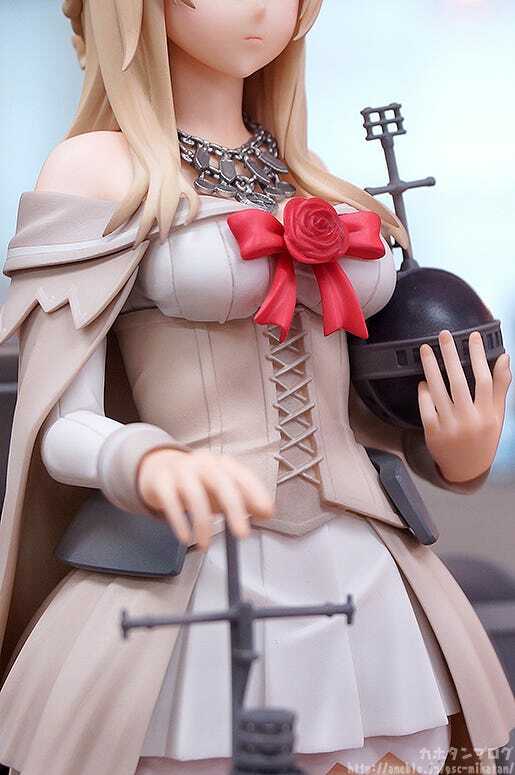 Her impressive bust and unique outfit look great from above, but looking from a lower angle is just as impressive! 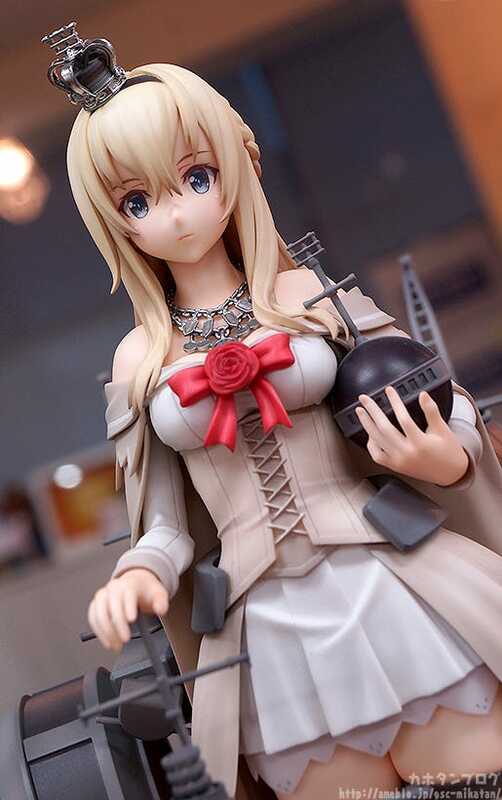 Even though Warspite has a rather compelling body, there is something about her design that makes her look so elegant at the same time! She has such a regal appearance! 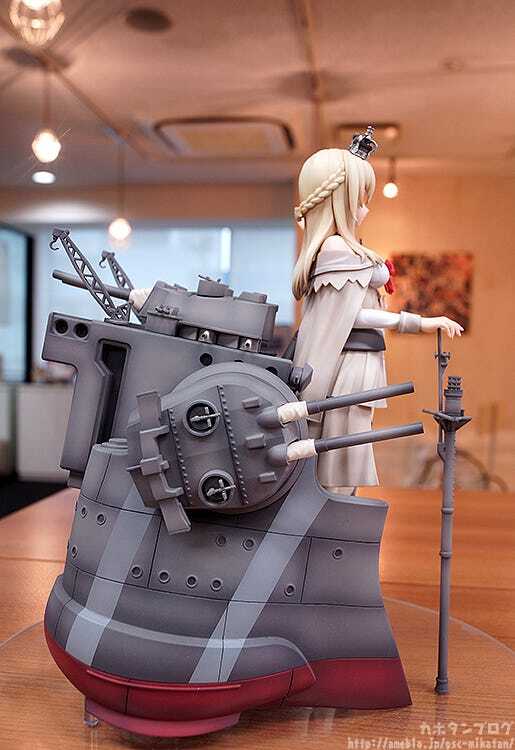 The design of the figure is based on an illustration from the Kanmusu Catalogue Vol.3 which really did feature her in a very majestic pose! Here is a size comparison with her Nendoroid! There is something about this crease that really makes it feel like these socks are being “worn”. It adds a lovely realistic aspect to the figure!! 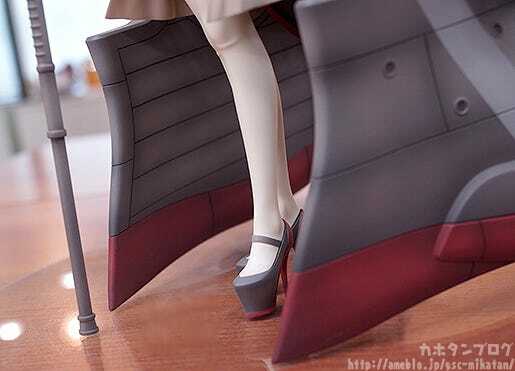 I think most people will first focus on the huge ship parts, and her impressive bust and other details above her hips, but there is actually a lot of really impressive details on her legs and feet that need to be seen as well!! ▲ Note the ankle bone on her foot captured with both sculpt and shadows. Plus, although it is a little hard to see in the photo, if you look close you can see the tension in her Achilles tendon from using high heels!! Add the impressive British-born ship to your collection! Keep your eyes on the Good Smile Company Website for more details! 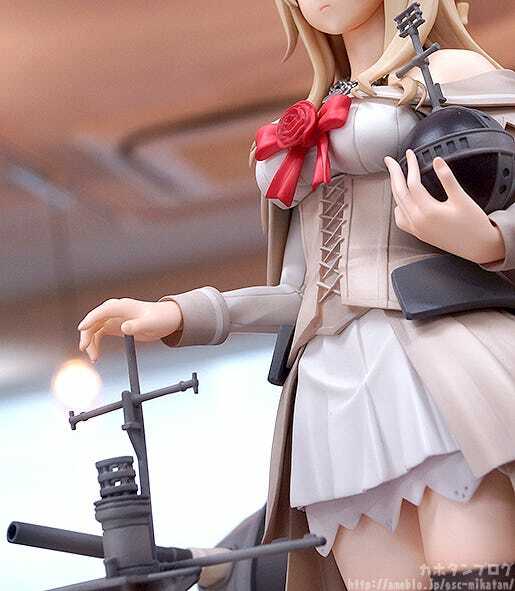 The WONDERFUL HOBBY SELECTION is a set of products brought to you by Good Smile Company, featuring only the highest quality figures. Meticulous sculptwork, intricate paintwork with unique artistic flair and superior quality products made for those wanting to add only the best to their collection. Experience the Extraordinary. Please note that while this product is exclusive to the GOODSMILE ONLINE SHOP within Japan, our international partner shops will also be stocking it as normal! Preorders for many products at the GOODSMILE ONLINE SHOP are closing soon! 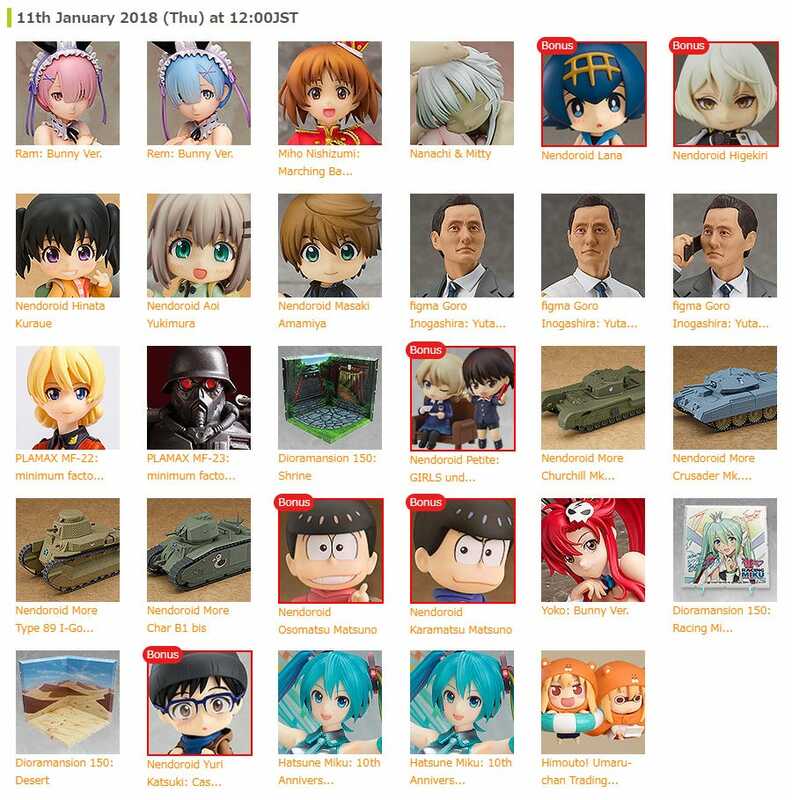 Here are the products closing on the 11th of January 2018 (JST)!